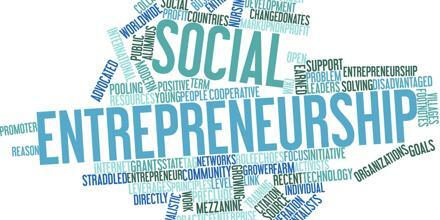 Social Entrepreneurship is an appealing construct precisely because it holds such high promise. It may be applied to a variety of organizations with different sizes, aims, and beliefs. It is attracting growing amounts of talent, money, and attention. It is typically attempts to further broad social, cultural, and environmental goals often associated with the voluntary sector in areas such as poverty alleviation, health care and community development. Social entrepreneurship include microfinance institutions, educational programs, providing banking services in underserved areas and helping children orphaned by epidemic disease.